Stop Crying When You Cut Onions With This Tip! Onions are a tasty addition to many dishes, but they can be a pain to process since they cause a lot of tears. Chefs aren’t crying because they hate onions, it’s because of a chemical irritant that onions produce which stimulates our lachrymal glands, where our tears come from. Thankfully, celebrity chef Gordon Ramsay is here to save the day with a video that shows you how to master chopping onions – no tears involved! While we’ve heard of a few different methods for keeping the tears at bay, like chewing gum or lighting a candle, Gordon Ramsay has one simple tip that doesn’t require any special equipment or extra supplies. Can you guess what it is? 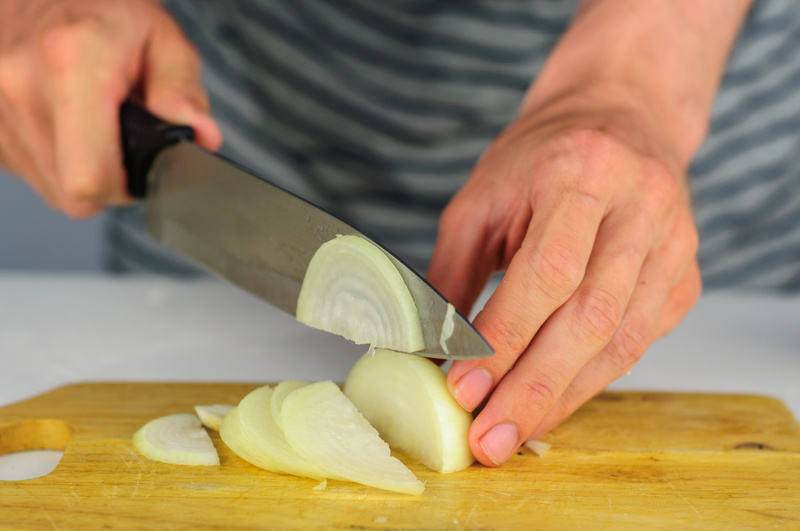 Not only do we find out the key to not crying while cutting onions, we learn a new technique for chopping that helps you get the most out of your onion. What are you waiting for? Go ahead and check out the video below! Do you need a place to put those delicious chopped onions? Try this recipe for homemade tomato salsa and never buy store bought again.